Strict controls and smart re-use means the water that happens on Vegas links stays on Vegas links. Fact: A single, 18-hole round of golf at a typical Las Vegas golf course requires 2,507 gallons of water. That’s not “virtual water,” it’s the actual amount of water that has to be sprinklered onto the golf course to get it ready, each night, for each golfer. What the means is that, every time a golfer steps to a tee in Las Vegas, that one hole required 139 gallons of water to prepare, just for that one golfer that day. That means that a foursome in Las Vegas, playing 18 holes, will use as much water as typical family in the U.S. uses in a month. Pause and consider what the driest city in America, Las Vegas, has to tell us about golf and water, sustainability and the reality of changing water habits. Golf is, somewhat oddly, one of the attractions of Las Vegas. 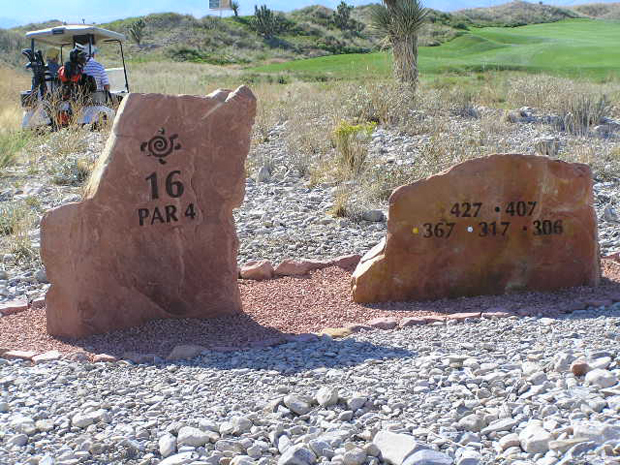 Las Vegas has 61 golf courses. That’s three times the number of golf courses that Orlando has–and Orlando gets one-third more visitors. More to the point, Las Vegas is literally the driest city of the 280 largest cities in the U.S.–it gets just 4.5 inches of rain a year. Orlando gets a foot of rain for every inch Las Vegas gets. To make golf possible in Las Vegas, you have to irrigate the dusty soil with the same amount of water that California’s Imperial Valley requires to grow much of the nation’s winter vegetable crop. But if the water-requirement for Las Vegas golf courses is astonishing, it actually contains some good news. Every golf course in Las Vegas now functions under a mandatory water budget strictly limiting the amount of water they are allowed to use. The numbers above come from a progressively managed public course named Angel Park, and they represent a breakthrough, at least in golf terms. As recently as 1996, Angel Park was using 644 million gallons of purified drinking water a year on its fairways and greens–enough water for a town of 12,000 people. Today, because of new water management techniques, and because Angel Park has been re-landscaped to give it more of a desert feel, the course is using only 376 million gallons of water a year–a 40% cut. And all the water Angel Park uses comes right from a wastewater treatment plant–it’s re-use water, not drinking water from Lake Mead. So while all the golf courses in the desert are hardly an example of “sustainability,” in the big picture, in water use terms, a golf course that uses 1 million gallons a day of purified sewage instead of 2 million gallons a day of drinking water represents a huge leap. For all the water ostentatiousness of Las Vegas’ Strip, with the Fountains at the Bellagio, the replica of New York harbor at New York New York, the canals where you can ride a gondola (indoors or out) at the Venetian, the progress on water use in Las Vegas has been dramatic, and largely unnnoticed. Yes, it seems silly to have a city in the middle of a desert. But cities aren’t centrally planned decisions: Las Vegas exists, frankly, because we like it there. Ten percent of Americans visit every year, and the population has tripled since 1990. And yes, even as Las Vegas has been growing as fast as any plance in the U.S., the water supply has not. Virtually all of Las Vegas’ water comes from Lake Mead, and Las Vegas is strictly limited by federal rules as to how much water it can take each year. While the city has tripled in size, it hasn’t added any new sources of water. Indeed, Lake Mead, in the midst of a years-long dry spell, is more than half empty. How has Las Vegas pulled it off, then? Las Vegas has become one of the most water-smart cities in the country–perhaps the most water smart. Working over 20 years, the water chief for the Las Vegas metro area, Patricia Mulroy, has changed water use habits and water use patterns in ways that make a dramatic difference–but only over time. It’s illegal now to have a front lawn in any new home in Las Vegas. The water authority will pay people who already have lawns to take them out–$40,000 an acre– and replace them with native desert landscaping. They pay golf courses to do the same thing. It is illegal to let your sprinkler spray water on a sidewalk or street, and Las Vegas specifies the kind of hose nozzle you can use to wash your car (trigger style, so it doesn’t simply pour water out when you’re not using it). And a determined recycling effort has produced pioneering results: the Las Vegas metro area now collects, cleans, and recycles to Lake Mead 94 percent of all water that hits a drain anywhere in the city. Essentially, the only water that isn’t directly recycled back to the source is the water used outdoors. No city in the U.S. matches that. In the last 20 years, per capita water use in Las Vegas for all purposes has fallen 108 gallons a day, from 348 gallons per person a day to 240 gallons. You don’t accomplish that by turning off the water while you brush your teeth (although that helps). 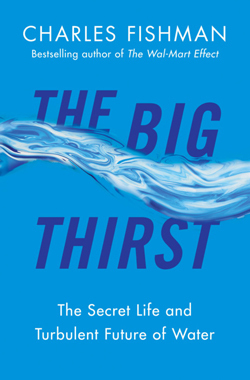 You have to fundamentally change people’s approach and attitude about water. In the last 10 years, Las Vegas has grown by 50 percent in population, but the actual use of water hasn’t changed at all. The conservation has, in fact, enabled the growth. Golf courses notwithstanding, that’s a lesson every city in the U.S. can learn.